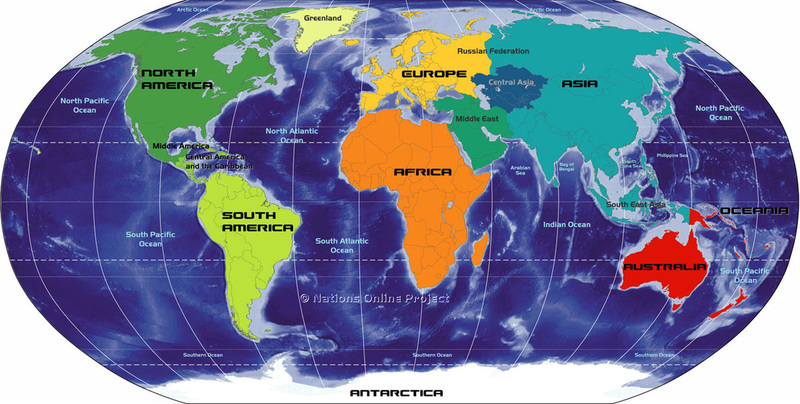 Label the continents on a map of the world. Place the continents and oceans on the map. Label the continents and oceans on the map.